West Allis, Wis. (July 17, 1988) - For the first 199 laps of Sunday’s Pontiac Excitement 200 at State Fair Park, Harold Fair wasn't the least bit nervous. Then came the final lap. 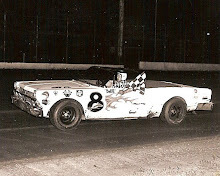 “The butterflies don’t come until the last lap,” said Fair after edging Joe Shear and Rich Bickle Jr. for his first-ever American Speed Association stock car victory. Fair had plenty of company in the race to victory lane early in the event as several drivers including pole-sitter Butch Miller and NASCAR stars Rusty Wallace and Dale Earnhardt proved they were capable of running up front. 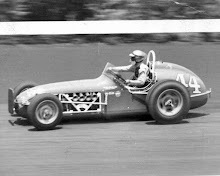 Miller was the first to fade midway through the event when a right front tire exploded, nearly sending the current point leader and defending ASA champion into the turn two wall. Miller somehow saved the car, but a series of pit stops to repair the damage relegated him to a 10th place finish. Earnhardt was the next to leave the race, on lap 143, in what turned out to be the most serious incident of the day. Earnhardt, in his first ever ride here, spun entering turn two. 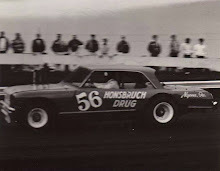 Several cars avoided the spinning racer before Dennis Vogel and Buddy Schrock slammed into the defending NASCAR Winston Cup champion. Earnhardt, complaining of a shoulder injury, was checked by emergency track personnel and later released. With only 50 laps remaining and Miller and Earnhardt out of the race, Fair appeared to have smooth sailing as Wallace was stuck back in the pack after a slow pit stop during the caution period. Back under green, Wallace quickly showed he had the fastest car on the track, blasting through the field and into the runner-up spot by lap 157. Getting by Fair, however, was something completely different. “I thought Rusty and I had the fastest cars all day long and I wasn’t very surprised to see him in my mirror near the end of the race,” said Fair. 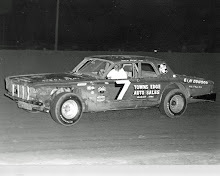 The large main-straight grandstand crowd came to its feet as Wallace pulled up to Fair’s back bumper as the pair raced down the front stretch on lap 183. Their attention was quickly diverted, however, as Glenn Allen Jr. smacked the wall just behind the leaders, bringing out the final of 12 cautions on the day. As the pace car picked up the leaders, Wallace ducked into the pits to change a cut right front tire. The move put Wallace at the back of the pack and only a brilliant charge over the last 13 laps netted the current NASCAR Winston Cup point’s leader seventh place. 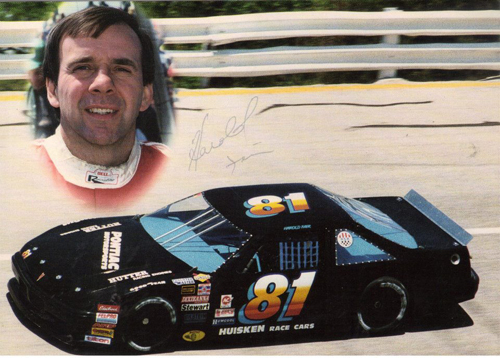 NASCAR star Alan Kulwicki was the next in line to test Fair only to have his Ford expire nine laps from the finish. 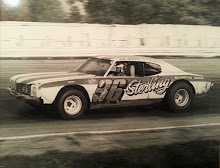 That left Shear and Bickle, who started 33rd and 28th, respectively, to challenge Fair's Pontiac. Just in time to get a little nervous.